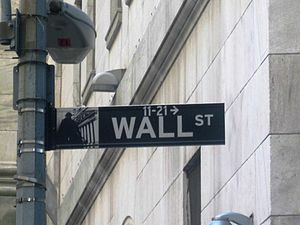 The abuse of unregulated derivatives by Wall Street caused the Great Recession. That is the conclusion reached in Republic, Lost, How Money Corrupts Congress–and a Plan to Stop It by Lawrence Lessig. The following quotation is the simple analogy he uses to explain what happened. The regulation of derivatives is compared to laws regulating automobile highway speeds. The derivatives in question were backed by US mortgages and rated AAA by Standard and Poor and others. 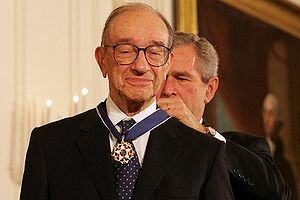 Derivatives were exempt from regulation by act of Congress as urged by Alan Greenspan and others. Financial instruments still regulated by law were recast as derivatives to escape regulation. And without the discipline of regulation, Wall Street took on excessive risk. And it came tumbling down in 2007-8 birthing the Great Recession. The answer is hell yes. We are out of Iraq and we are drawing down our troops in Afghanistan. Bin Laden is dead and al-Qaeda is on the run. The economy is improving slowly from the Great Recession. Too many are still unemployed and the housing bubble is not over. Who shall we thank for the state of the economy? Republicans in Congress who have attempted to block every one of President Obama’s initiatives. We can rightly blame GW Bush and Alan Greenspan for not preventing the Great Recession and the housing bubble. After 3-4 years, Barack has rightly taken ownership of the economy. He acted to prevent it from becoming the Great Depression 2. It seems that most people don’t realize how bad the economic situation was and capable of becoming. Too many believe the GOP mantra that it is Obama’s fault, while the GOP are doing everything in their power to prolong the slow recovery until after the election. It is the same strategy used by the CIA under Nixon’s direction to overthrow the Allende government in Chile in 1971. Now the people of the US are learning what it is like to be on the wrong end of economic warfare. No, not GM, Ford and Chrysler. The Big 3 I am referring to are the three Republicans who have done the most damage to the US and the US economy besides GW Bush. None were ever elected to office, none ever faced the voters. They are Karl Rove, Grover Norquist and Alan Greenspan. Without Karl Rove’s help, GW Bush would have lost both elections in 2000 and 2004. 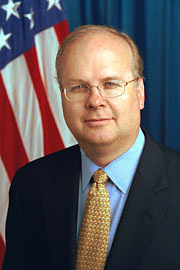 In 2012, Rove’s group American Crossroads is poised to further damage American politics. Grover Norquist is a brilliant individual according to his longtime friend, Jack Abramoff. To him, I believe, we owe the Republican tendency to label all opponents as Marxists. We also owe him the Republican refusal to compromise on taxes. Alan Greenspan’s allegiance to Ayn Rand and the unfettered free market led to the unchecked housing bubble that burst and produced the present Great Recession. Both Karl and Grover support Mitt Romney. I don’t know who Alan Greenspan will endorse, but I suspect that eventually it will be Mitt Romney. Tim Pawlenty was on MSNBC moments ago with Andrea Mitchell denying that he wants to be Mitt Romney‘s running mate. He certainly is qualified if they indeed do pick a boring white guy. 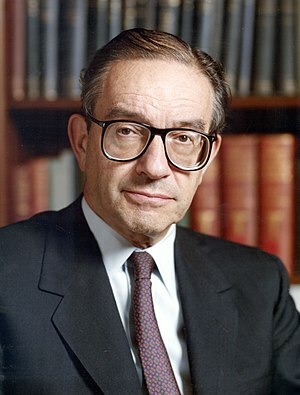 I am surprised that some reporter has not asked Andrea about her husband, Alan Greenspan. 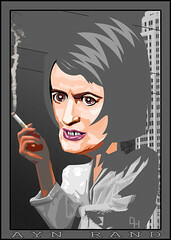 Like how does it feel to be married to the person most responsible for the Great Recession? Reporters are always asking stupid questions of victims of disasters about how it feels. One would think that some reporter would put the question to her.